There’s some good news coming out of Ohio lately: not only has the city of Columbus taken steps toward banning abusive “conversion therapy,” but the state is quickly moving toward banning employment discrimination against LGBTQ people. A new bill has been introduced by Representative Nickie Antonio, and although Gov. John Kasich hasn’t said that he’ll sign it, he hasn’t said he’ll veto it — a significant step for a Republican official. It’s a bit of a surprise that Kasich hasn’t heard about discrimination against LGBTQ people, considering how popular it is within his own party. Republicans across the country have introduced over a hundred bills targeting queer Americans with threats of losing their jobs or homes, as well as denial of services like adoption and medical care. Just this week, the Trump administration revoked nondiscrimination rules for federal contractors, eliminating employment protection for an estimated 28 million people. 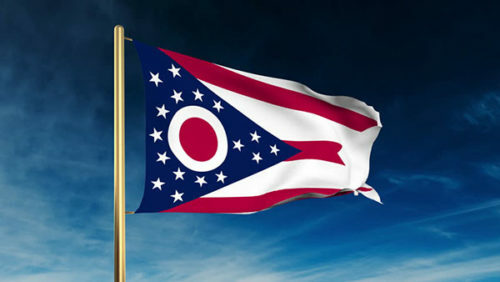 The bill will have an uphill battle in Ohio; previous legislation has been defeated in past year. But Antonio has promised that the latest version reaffirms robust protections for religious officials — protections that already exist, but are often used to sow confusion about the effect of nondiscrimination laws — and her hope is that this will quash previous misinformation campaigns. Ohio has also taken significant steps to affirm equal access to facilities for trans citizens. Last month, Toledo banned “conversion therapy,” while also improving existing nondiscrimination laws to include transgender people. The city joins fifteen others in the state that require businesses to treat trans customers the same as any others. Officials cited the discriminatory mistakes made by legislators in other states — notably North Carolina with HB2 — as grounds for passing more inclusive legislation. Numerous companies scaled back business operations in North Carolina after the passage of a “bathroom ban” and lawmakers there are still scrambling to react. More recently, they passed a “compromise” bill that essentially retains most of the discriminatory provisions of the original. But Ohio seems determined to avoid such a course of action, with elected officials committed to passing nondiscrimination protections at the state level. Grant Stancliff, the Communications Director for Equality Ohio, pointed out that the state currently has a patchwork of protections that mean citizens gain or lose coverage as they drive from one town to another. Recent polling indicates that about seventy percent of Ohio citizens supports nondiscrimination protection. That strong public opinion will likely help officials like Gov. Kasich support laws like those proposed by Rep. Antonio — if he can manage to break with the hard-liners of his own party.